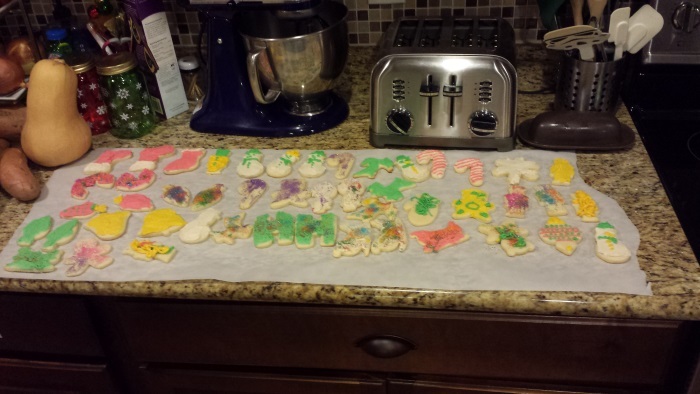 Growing up, it was a family tradition to make and decorate sugar cookies. It was a tradition that to this day is a wonderful Christmas memory from when I was a kid. I can’t hear the Bing Crosby or Wayne Newton Christmas albums without remembering the sugar cookies. As a dad, this was a tradition I definitely wanted to continue, and this year Cora is old enough to really help. She was in charge of sprinkles and added her own panache to the cookies. 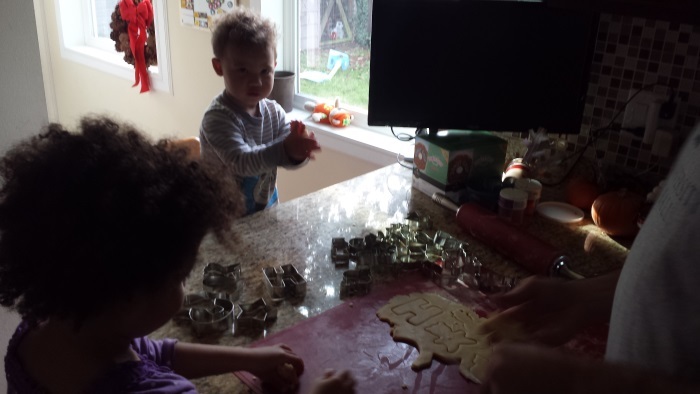 The first step is to break out the cookie cutters and start making some cookies. The fruits of our labors! 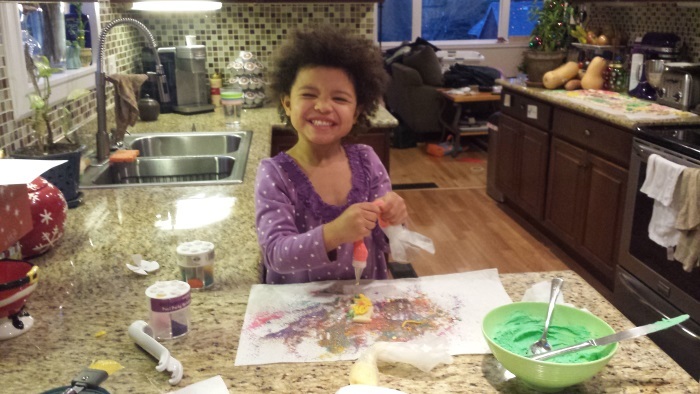 AJ also helped with the more artistic cookies, but all of the color is Cora’s. It was a great time, and a fantastic continuation of a family tradition that I have had for as long as I can remember.